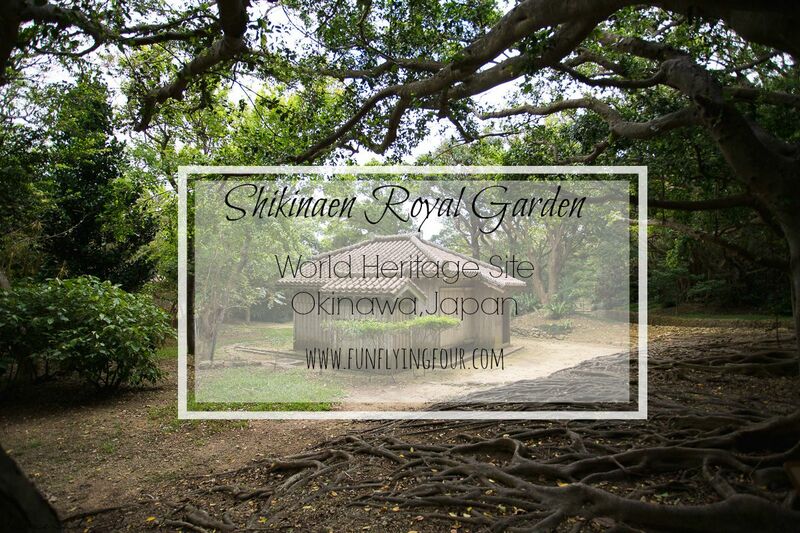 There are nine separate properties that all come under the 1 World Heritage Site listing for Okinawa known as the ‘Gusuku Sites and Related Properties of the Kingdom of Ryukyu’ out of these 9 properties we have now made it to 8, the latest being Shikinaen Royal Garden. 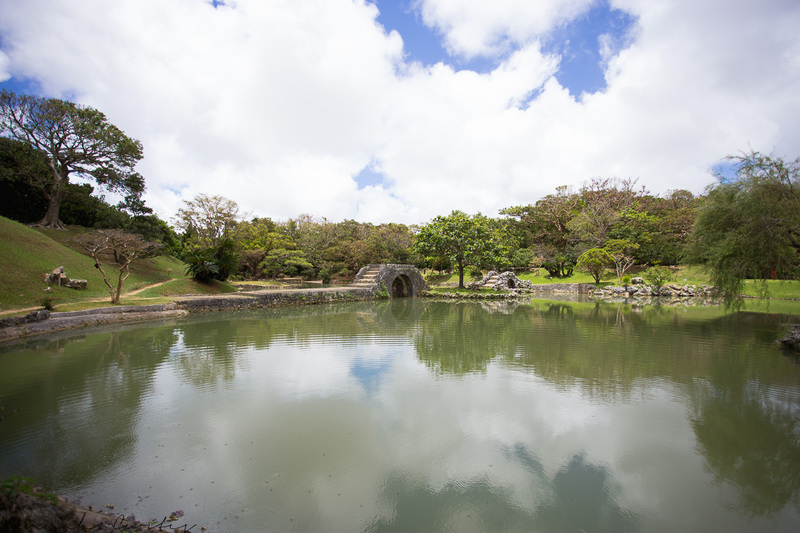 The Gardens located in Naha, not too far from Shuri Castle (about a 10 minute drive) were the largest second residence for the Ryukyu Royal family. 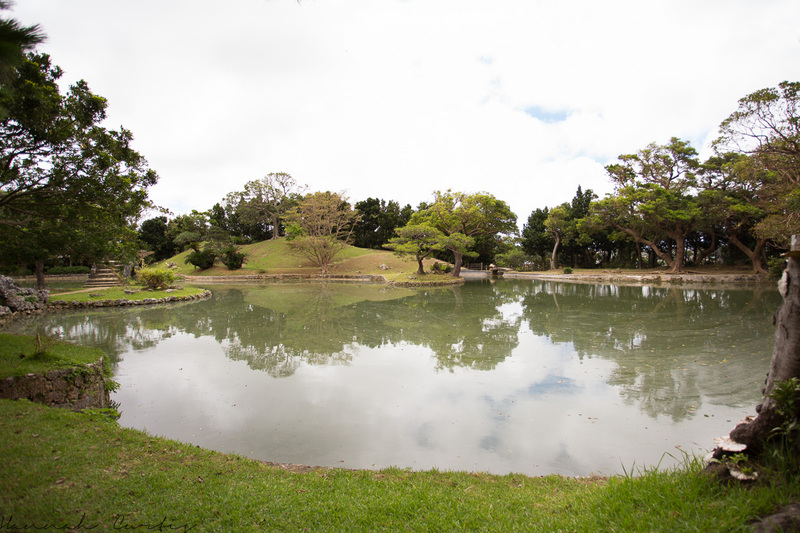 The gardens & buildings, which were originally constructed near the end of the 18th century, have a land area of almost 42,000 meters squared. Unfortunately the gardens, which were designated as a national place of scenic beauty in 1914 were completely destroyed during World War 2. 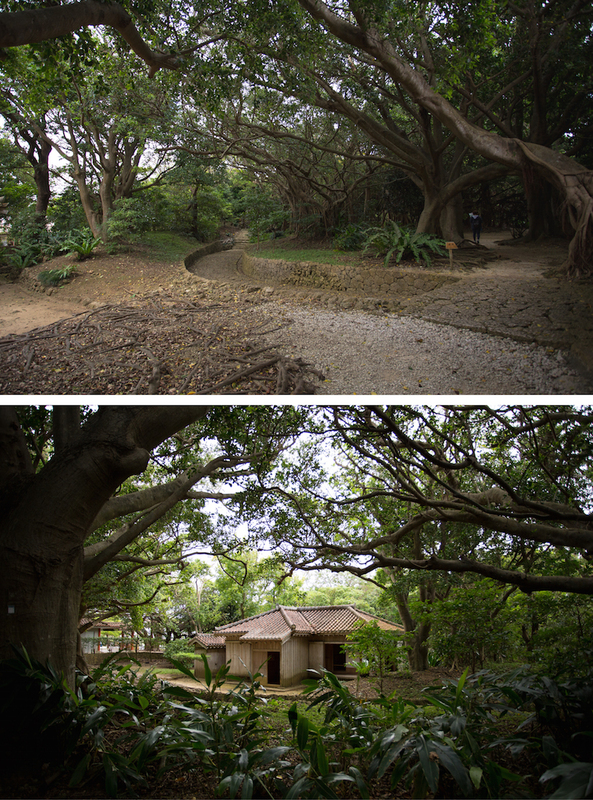 Thankfully in 1975 the gardens began restoration and after 20 years and 800,000,000 Yen (approx. 8 million dollars) the restoration was complete. I am really pleased they restored these garden because it really is a beautiful place to stroll around and the buildings are super neat. 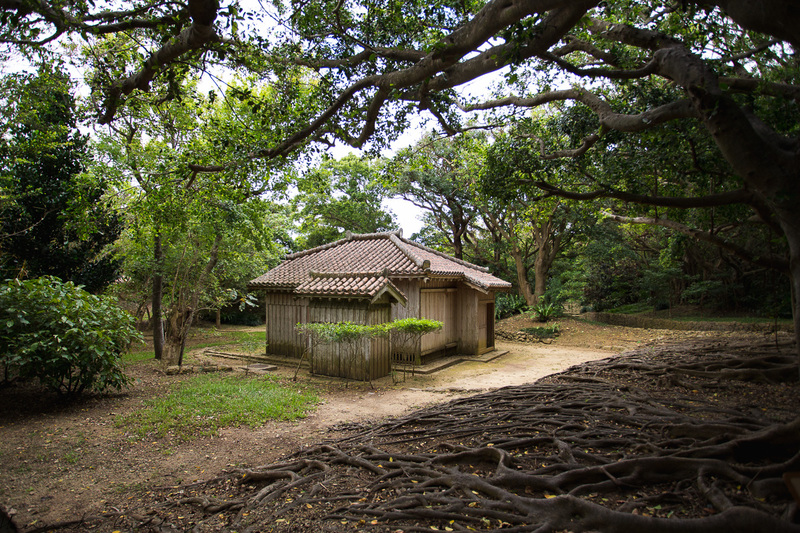 A favorite was the Rokkaku-do a hexagonal building which was used as a place to rest, built on a small island on the pond. Unfortunately this cute little building is kept locked so visitors are unable to climb inside and relax! 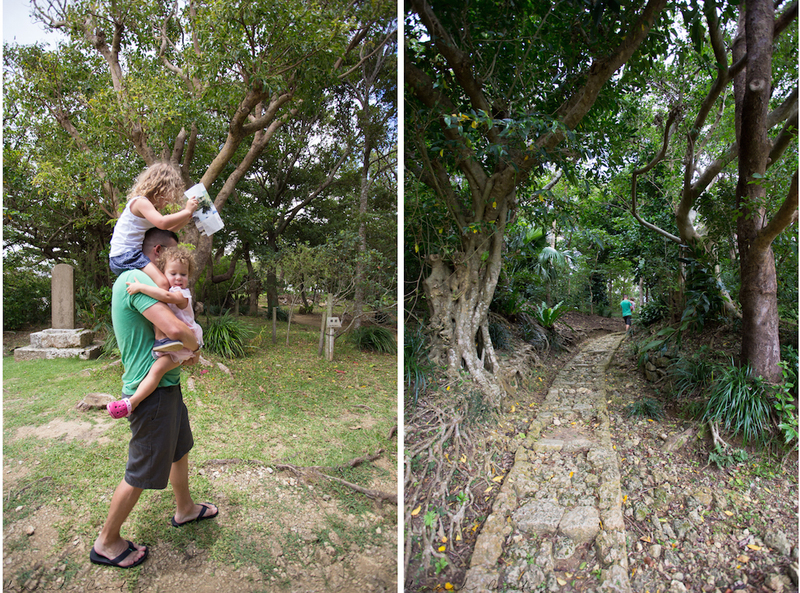 Eden navigated us around the entire gardens using the map provided and it took us about an hour to walk through the entire place. I am guessing it wouldn’t normally take that long but with it being the middle of summer it was pretty hot and humid, plus we stopped to chat with a friendly chap visiting from Mainland. There was a little shade provided by the trees but for the most part you are walking in direct sunlight. 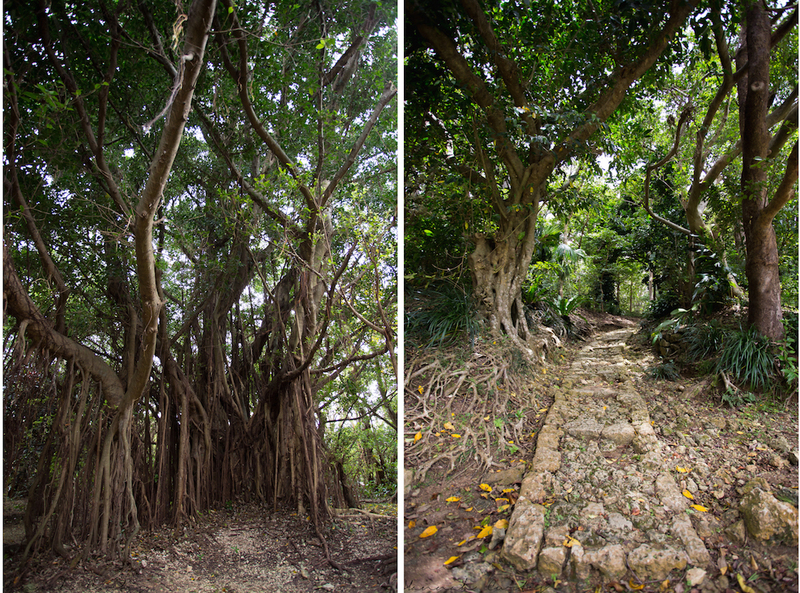 Now we need to make it to the last of the World Heritage Sites here in Okinawa. 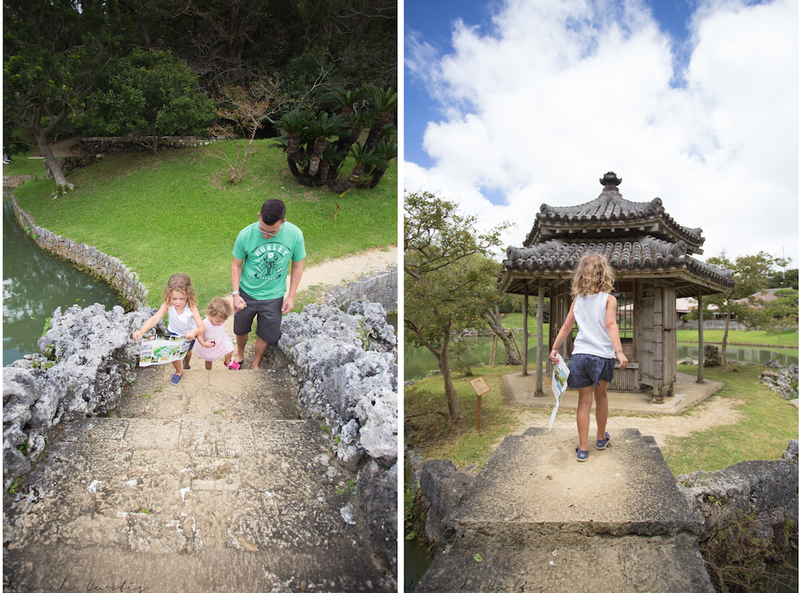 Do you ever check the UNESCO World Heritage listing when you visit somewhere new? Matt lasted all of 30 seconds like this! Eden was too close to the spiders up there so she was eager to get down! It’s really pretty! I’m glad your adding it to your list…aren’t you pleased you have a few more years here! As always, stunning pictures! I think I’ve actually been there I just assumed it all part of the castle grounds( if I’m not mistaken) I had no idea the history behind it! Oh my gosh beautiful! If we ever make it to that side of Japan I wanna go there!